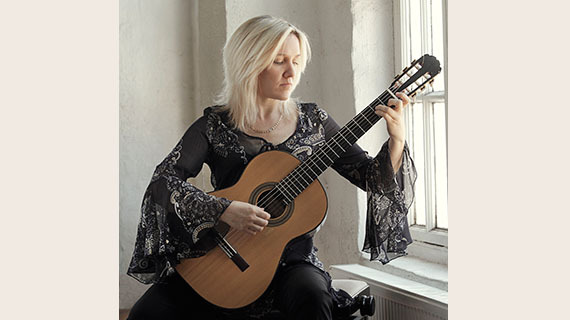 Bridget Mermikides (classical guitar) | Milton Mermikides (electronics). Tension Blue is a collaboration between guitarist Bridget Mermikides and composer Milton Mermikides. Using contemporary technology to augment traditional solo classical performance, the piece draws on influences from Western art, jazz, ‘world’, minimalist, process, microtonal, serialist, generative and electronic dance music. All sounds are derived from, or triggered by, the guitar.